As long as there have been Christian writers expressing theological ideas, there have been theological disagreements and controversies. That’s normal. When we’re talking about big ideas like God, or the nature of humanity, or the purpose of life, it seems like we should expect some differences of opinion. In certain places and times, however, these disagreements have gone far beyond meanness. Sometimes they resulted in violence. We’re too civilized for that, we think. Well, think again. The internet has opened the door for noisy theological factions to engage in condemnation, censure and character assassination on a scale never seen before in Human history. The attacks and e-Excommunications roll down in crushing waves. The watching world is again confirmed in their belief that Christians are mostly concerned with being right, and are incapable of treating each other (let alone outsiders) with grace and kindness. 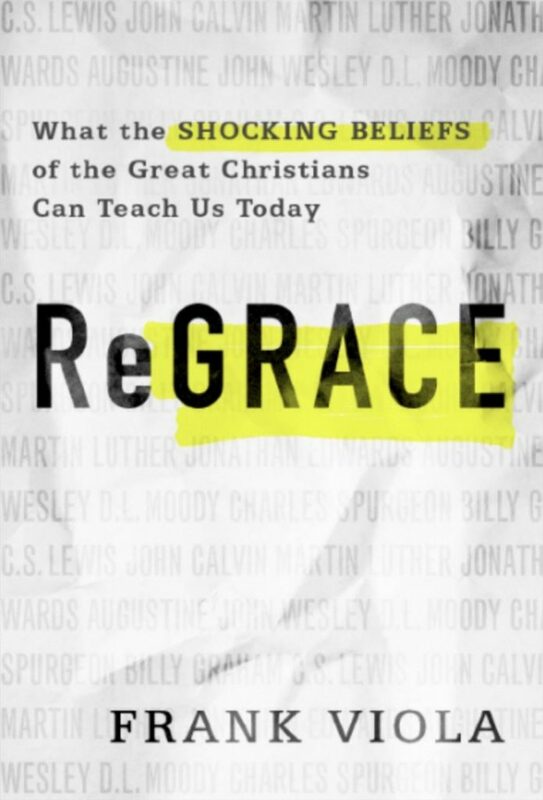 Frank Viola, an inveterate pot-stirrer, attacks this disease with relish in a new little book, called Regrace: What the Shocking Beliefs of the Great Christians Can Teach Us. Viola takes a surprising perspective on the subject of disagreements on theology. His words made me stop and think. That’s why I want to share his book with you. It’s time for Christians to take a look in the mirror. The central premise of the book, and what occupies most of its pages, is this: Significant Christian leaders, some you might hold up as heroes, held beliefs that today would be considered peculiar at best, maybe shocking or even heretical. They would probably get kicked out of the average modern congregation! The kinds of folks who have influenced your thinking. Maybe even the person your denomination is named after. Yep! Even them. For example, did you know that both John Calvin and Martin Luther believed that Jewish people were less than fully human? That’s putting it gently. Did you know that D.L. Moody, the famous evangelist, invited Henry Drummond, an early Christian evolutionist, to speak at his Gospel rallies? Or how about this? C.S. Lewis believed in praying for the dead. He thought it likely there was some means for people to find salvation after they had died. The list is long and strange. Frank shows his work. You can follow the citations to sources if you want. He presents beliefs held by luminaries, including C.S. Lewis, Jonathan Edwards, Martin Luther, John Calvin, Augustine, John Wesley, Charles Spurgeon, D.L. Moody, and Billy Graham. If people like these could have held different beliefs from each other, even views that would likely get them kicked out of your local church today, is it possible that the way we relate to people we disagree with needs to change? Maybe less condemnation and more love? The problem that Viola addresses emerges from two weaknesses. First, being right is a powerful drug. We love the way it makes us feel strong and secure. Second, many (if not most) Christians today are very poorly educated on theological history. They assume (often with the help of their local pastors) that the theology taught in their congregation is note-for-note the same as was held by the apostles in 1st century Palestine. They simply don’t know that Christian theology has been a developing conversation since the Upper Room. Combining those two weaknesses creates a potent problem. We like to be right! It feels especially good when we are right about something as important as the faith once declared to the saints! Surely that means we are on the winning team? Unlike some authors, Viola doesn’t point out these disagreements as a way to write off the faith and practice of these heroes of our Christian heritage. Just the opposite. He suggests this: If we are capable of honoring and listening to the theological contribution of these leaders even though they had blind spots, were sometimes misinformed, and even at times were just plain wrong, then maybe we can relate respectfully to others we disagree with. The remainder of the book includes several short chapters addressing related topics like how we speak to one another, the nature of heresy, the real purpose of the creed, and how church unity is not primarily built on doctrinal uniformity — all topics we need to invest some time thinking about. In an age where anyone can leave an excoriating public comment on Facebook or Twitter, conduct a virtual “book burning” in an Amazon Review, or write a vicious blog post, we need Viola’s reminder. I recommend this little book to you. Learn something new about a handful of the most influential Christian thinkers in history, and at the same time catch a vision of a different kind of church unity. 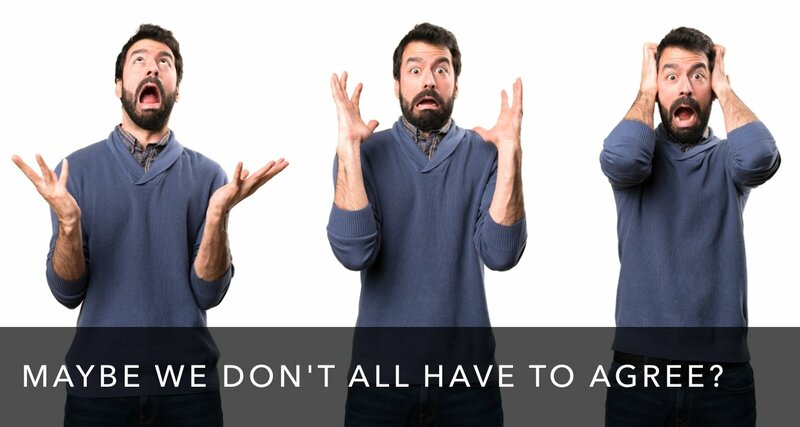 What unifies us is not perfect doctrinal agreement! Our calling is not forcing others to agree with us. The standard we are ultimately measured by is not our perfect agreement with the creed. It was Jesus himself who said that the particular quality that we would be known by was our love. And how else is love seen, if not in the charitable way we treat people—especially people we disagree with? Disclosure of Material Connection: Some of the links in the post above are Affiliate Links. This means if you click on the link and purchase the item, I will receive an infinitesimal affiliate commission, which I solemnly swear to spend on important books and trivial electronics. Regardless, I only recommend products, services, or books that I have personal experience with and that I believe will add value to my readers. More information here.